Capricornio is an inspiring export, education and farmer promotion company from the south of Brazil. Honestly, Brazil had never been on our minds as a potential origin for This Side Up. We didn't think our mission of helping smallholders market their coffees would fit in such an established coffee industry. That was until Luiz Saldanha and his partners captured our imagination. They established Capricornio to breathe new life in five regions in the southern states of Paraná and São Paolo, which until the 1960s, were one of the country's most vibrant coffee producing regions. Due to terrible frosts and the rise of the major coffee regions up north, its production stagnated, leading many coffee farmers to move north, leaving their farms underdeveloped. Now, due to climate change, these regions have become attractive to farmers again, but hardly anyone saw specialty potential. That is until Capricornio found 20 passionate farmers and started the Four Seasons project: they helped them turn their farms into modern, ecologically sustainable farms and process their coffees to the highest standards. Now, they have started to show what these coffee regions have to offer the specialty coffee world. Because of its uniquely low latitude (around the tropic of Capricorn at 23ºS), coffee here endures more stress while developing. This leads to large, slowly ripened cherries with surprisingly complex cup profiles, similar to what happens at higher altitudes. We were impressed not only by the coffee's cup quality, but by the company's achievements in processing and creating coffees in close cooperation with specialty roasters and experts (such as Aida Battle) worldwide. This connection to the roaster's world meant there was an immediate click with This Side Up, and since 2017, we've been proud to promote Capricornio in the European market. For the second season, we're co-creating a diverse range of coffees together with roasters from around Europe: from signature blends to exclusive processing experiments and microlots. 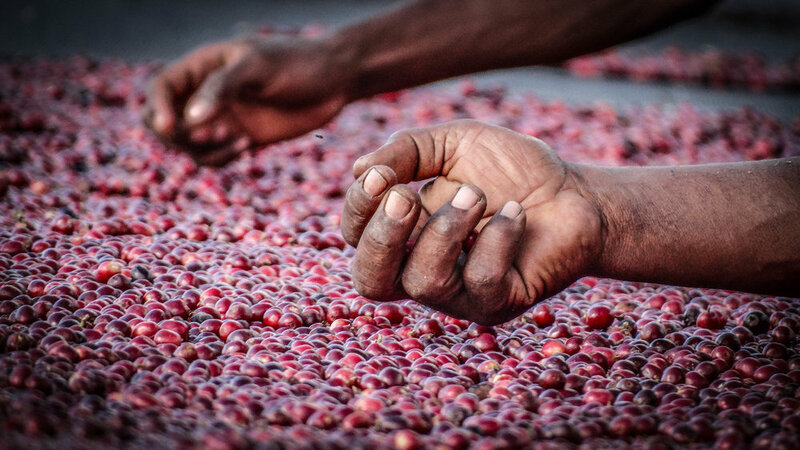 Our direct link is with Capricornio, who links our roaster partners to the right growers in their Four Seasons project through blended Signature lots, single estate lots and various specially processed microlots. Capricornio is the ultimate example of a force for good for an entire producing region by understanding roaster needs perfectly. Next to single estates and microlots, Capricornio makes blends from their partner farmers according to roasters' desired cupping profiles, called "Signatures". In this they are unrivalled in creating annual cupping consistency. World class when it comes to processing experimentation and spreading good processing practices: anything from pulped naturals to controlled yeast fermentation - we want our other partners to learn from Capricornio how to perfect it. Capricornio greatly reduces the ecological footprint of all their 20 partner farmers: they help them create water-efficient mills, implement waste water treatment technologies, and apply systems thinking to optimise all coffee processes and reduce CO2 output. They also stimulate the use of organic fertilisers, energy-efficient machinery and irrigation systems. 2017: started collaboration; Capricornio started producing signature lots especially for This Side Up partner roasters. 2018: Exclusive microlots and boutique lots for This Side Up in the European market. 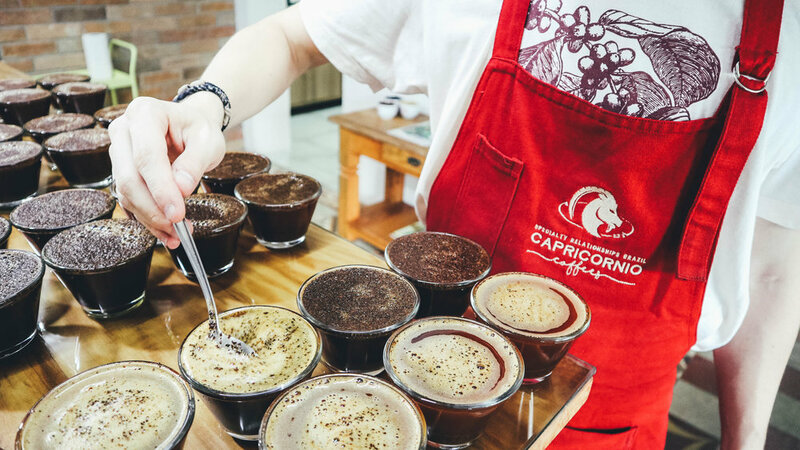 Capricornio collaborated with barista Thiago Sabino to produce the award-winning Honeymoon microlot, and secured him the title for the national Brazilian barista competition. Partnership with IAPAR (Agronomical Institute of Paraná) to lead training programs in its Quality Coffee Centre infrastructure. 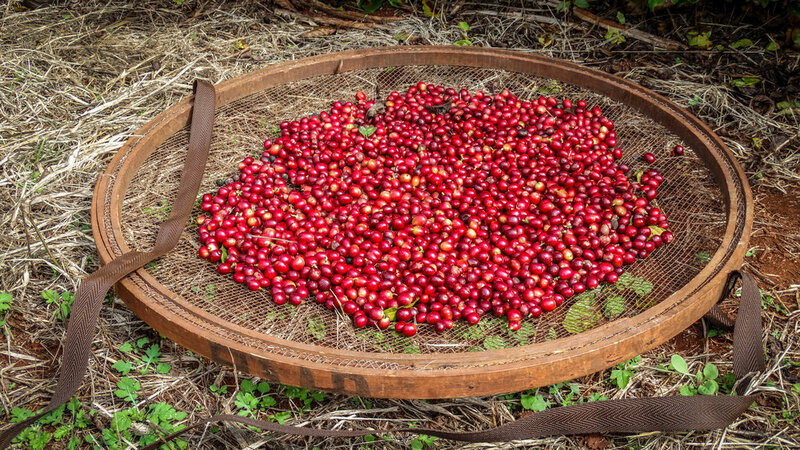 Contrary to most Brazilian estates, Capricornio's partner farms mostly hand-pick cherries. Microlot / Boutique lots: washed, fermented multiple times according to Burundi, Kenya, Ethiopia methods, "cold soul" low temperature fermentation and ongoing experimentation. the standard price you pay for the Signature lots p/kg. Last year, This Side Up paid $3,62 p/kg FOB Santos to Capricornio. Capricornio helps farmers by securing early contracts with buyers such as ourselves, and then buying futures to hedge against the US Coffee C price. the price Capricornio pays its partner farmers for their parchment, expressed as price for green (milled) coffee. In general, for all Capricornio's coffees, they make sure that 85% of the coffee's FOB value is transferred back to their partner farmers. dry-milling costs and Capricornio's export fee. This Side Up compensation for spending time and resources importing this coffee. Our work includes building relationships with shipping and warehousing partners, managing export, import and shipping bureaucracy, Q grading, sampling and jointly promoting these coffees with Capricornio. total shipping costs from Santos, through customs and to our warehouse. Full container loads good forwarding connections warrant such favourable shipping prices. There are two Ikawa profiles that we recommend. One that was developed especially for high latitude coffees by Muki during her time at the Capricornio lab, and another one adapted from Ikawa's Pulped natural Brazil profile that we've been using in the meantime which yields good results too: solid nutty body and great sweetness in the Signatures - all kinds of wonderful in the microlots and boutique lots. You may use these images freely to promote Capricornio and their partner estates among your customers. Luiz Saldanha is always on the move and most likely somewhere close to you sometime in the year. He is one of the most sensitive to roaster needs and customised orders of all our partners - contact him to find out more how he can help you with your Brazil needs! We came to know about Capricornio through Sara’s coffee network. Sara worked extensively with Capricornio founders Luiz Saldanha and José Antonio Rezende when they expressed the wish to start producing specialty coffee production in their home state of Parana’. Those days, Capricornio was still an idea, a dream. The reality was that nobody in specialty coffee believed coffees grown below the Capricorn Tropic Belt line (- 23ºS) would yield a quality cup. Coffee production in Parana state wasn’t much different from other producing regions above the Capricorn Tropic Belt. And under those conditions, coffees produced in Parana were definitely struggling to show all their potential. Many would simply say that these coffees did not have ‘enough altitude, and the wrong latitude’. In the past nobody really took the time to acknowledge the dramatically different geographical and weather conditions of this region compared to the rest of Brazil, and do something about it! Here coffees are grown at altitudes as low as 500mt. Winters can be very cold and average temperatures are lower, extending the maturation process significantly. This means sweetness, which is highly desirable, but also easily lost if coffees are not roasted adequately. These coffees are known for yielding low density beans, and roasting profiles need to account for that in order to successfully extract all the sweetness and flavor complexities. 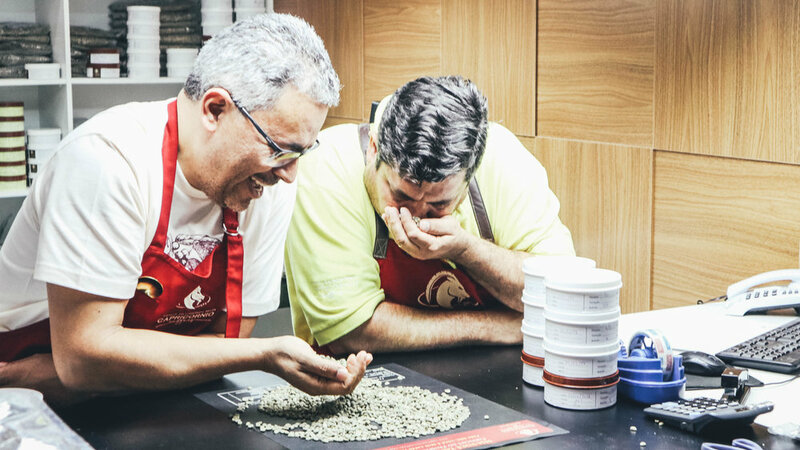 It took Luiz and Jose Antonio years of hard work and commitment to break paradigms in the industry, and prove that with the right agricultural practices and quality control protocols, lots of research and experimentation, one can produce outstanding coffees under some of the most unfavorable conditions. Fast forward to present times, Capricornio Coffees has acquired the expertise and know how to handle a different kind of coffee, in probably the most commoditized origin of the world. 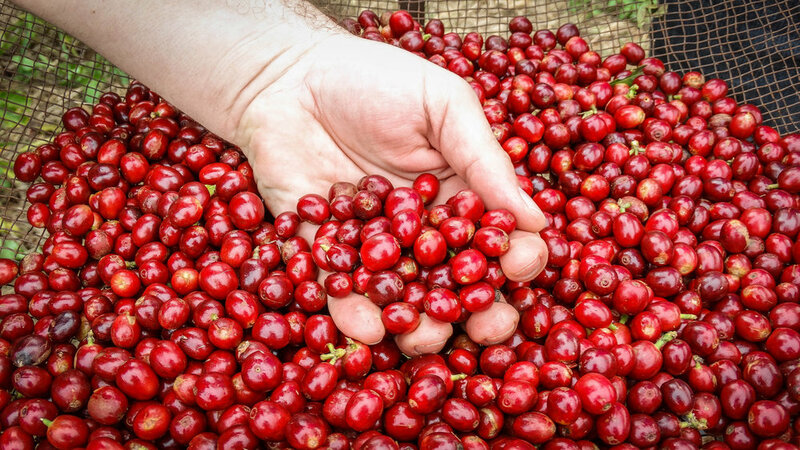 Through the Four Season Project, Capricornio unites like-minded producers who are committed to quality and breaking norms around coffee productions. They do so with the help of an agronomists’ team who periodically provide technical assistance and expertise in producing the best a coffee farm can produce. Many of these coffees are beautifully blended together to create the famous Capricornio Signatures lots – a range of significantly different profiles showcasing the wealth of flavors and aromas from this region. A state of the art cupping laboratory and a team of Q graders guarantees signature lots have consistent flavor profiles over time and are available throughout the year for their clients. There are currently 15 different signature lots developed and available all year round. Through programs like The Coffee Academy and the Aida Battle Selection Program, Capricornio has developed a wealth of knowledge in coffee processing and fermentation techniques. Their micro-lot program is probably the clearest example of that. The variety and uniqueness of these lots really push the quality boundaries of Brazil to a whole new level. Currently Capricornio has developed over 7 micro-lot products characterized by controlled fermentation, yeast fermentation, and different drying techniques. Single estate coffees, boutique lots and single varietal lots are also available through Capricornio. Exclusive lots are produced on request for companies looking to distinguish themselves in their home market and offer coffees unavailable otherwise. The amazing coffee offering developed by Capricornio is a testimony to the commitment to meet roasters’ needs, whatever they are. 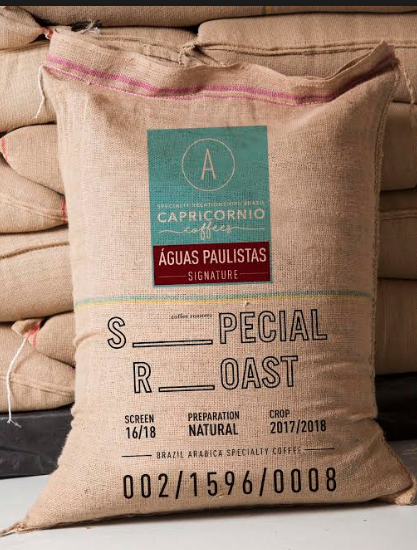 We are so proud of being Capricornio’s partner and have been supporting them together with trusted roasters in their path to break paradigms and see potential where nobody else does.